This is to all the BCH haters who constantly attack Roger Ver. Roger Ver is not our leader. Bitcoin had a pseudonymous leader, but now it has none. Instead, we believe in the power and utility of peer-to-peer electronic cash to transform society. We trust distributed consensus and cryptography. We do not trust authorities, companies or people. ](http://bitcoin.com) has been great to accelerate adoption, but wide-scale adoption of something like bitcoin is likely inevitable at this point. We are attempting to follow the best path toward global p2p M2 money, and will continue to do so. Trolls that attack 'ver' as a means of attacking 'BAB' are diluted into thinking that BCH is a personality cult. Sadly, these attacks reveal far more about the mentality of attacker than they do about the supposed victim. Belief in the false narrative of a BCH personality cult indicates a strong need in that person to have a leader, and follow one. If a 'ver' BAB cult of bitcoin 'old-timers' makes sense in your world view, get out of crypto, you are too gullible and missed the point. Roger Ver's personal reputation has ZERO bearing on the merit most users see in Bitcoin Cash. Ask anyone who supports it. That is, diligent people who invest time, money or resources because of the merit of a technology care NOTHING about attacks on personalities. Further, most would probably assert that anyone who invests in the cryptosphere based on their trust in a personality or corporation deserves to get rekt. It is squarely against the rules. The fact that trolls are incapable of conceiving of a project that does not rely on faith in a governing body or individual is very telling. Luckily there is hope. 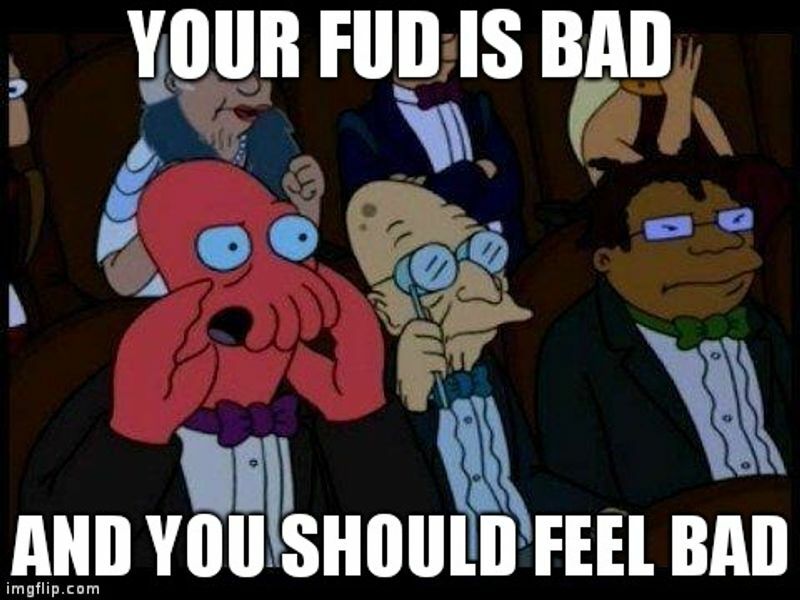 Read my post, follow my leadership and you too can post better FUD.